Hawaii—a U.S. territory since 1898—became the 50th state in August, 1959, following a referendum in Hawaii in which more than 93% of the voters approved the proposition that the territory should be admitted as a state. 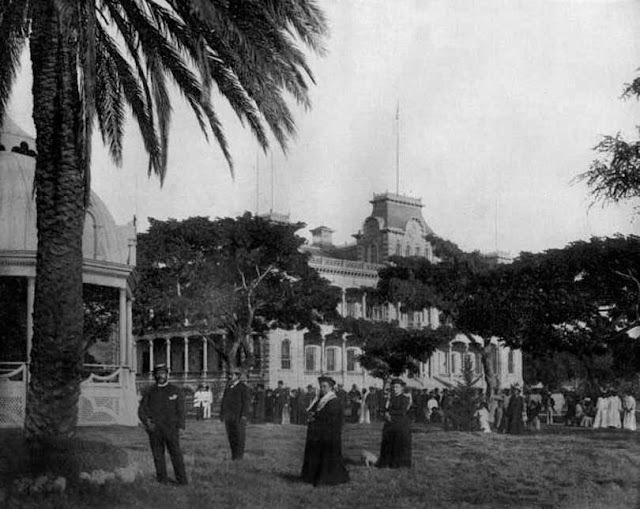 There were many Hawaiian petitions for statehood during the first half of the 20th century. 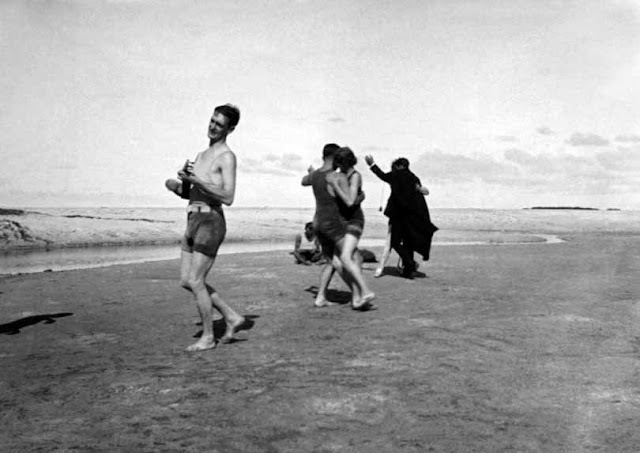 The voters wished to participate directly in electing their own governor and to have a full voice in national debates and elections that affected their lives. 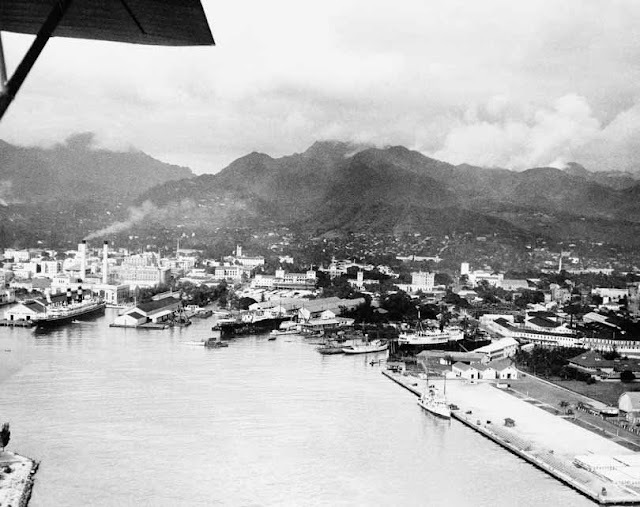 The voters also felt that statehood was warranted because they had demonstrated their loyalty—no matter what their ethnic background—to the U.S. to the fullest extent during World War II. 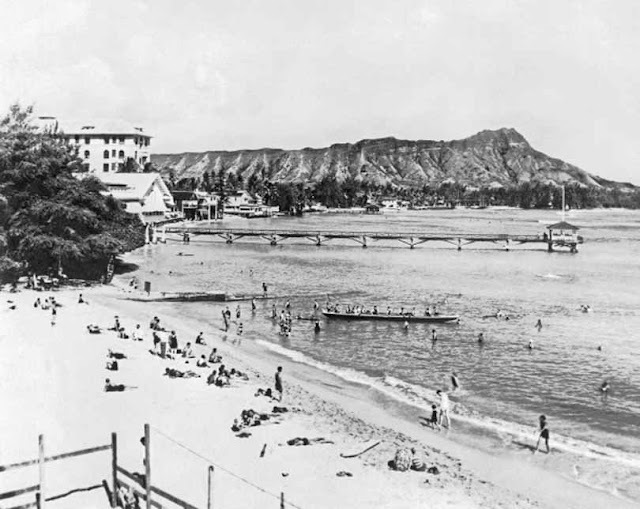 In retrospect, perhaps, the genuinely interesting question about Hawaii’s becoming a state is why it took so long—60 years from the time that it became a U.S. possession. 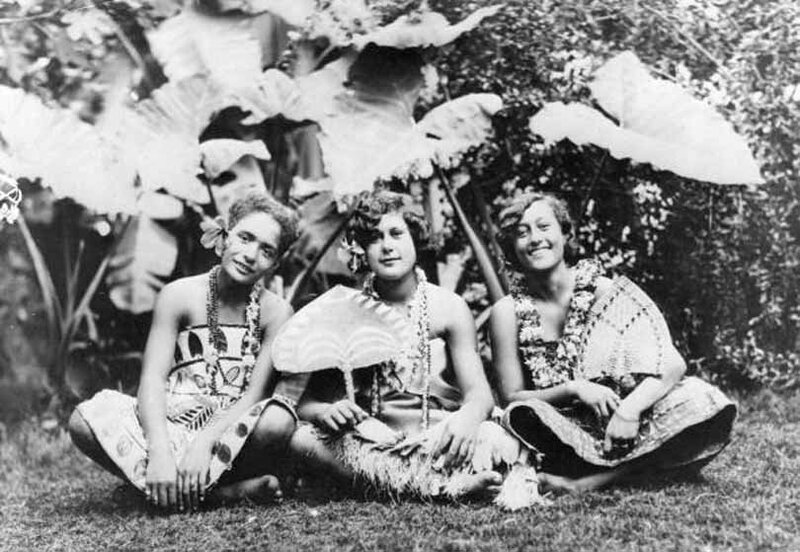 There were many Hawaiian petitions for statehood during the first half of the 20th century. 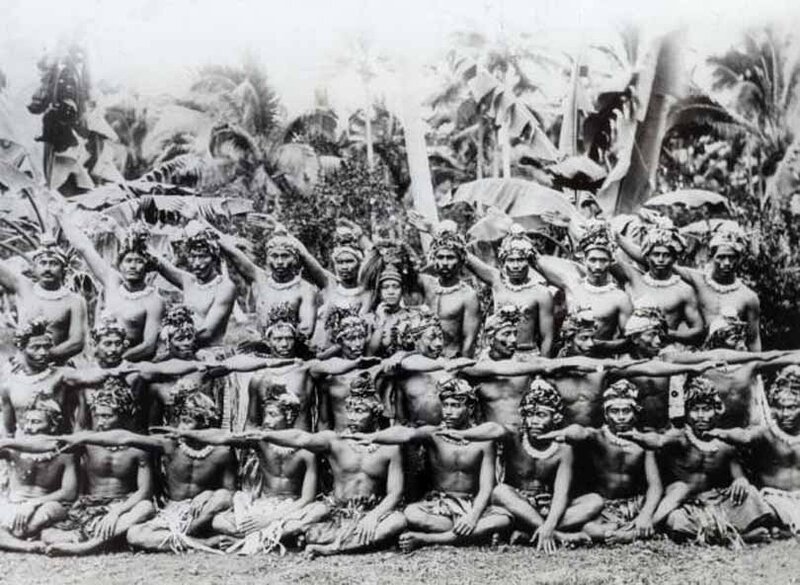 These were denied or ignored. 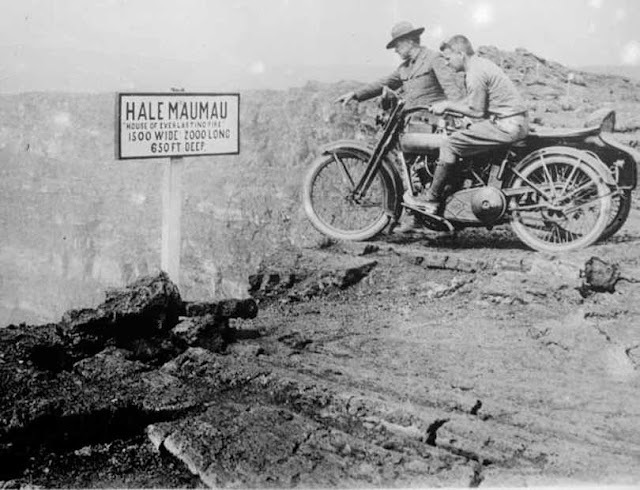 Some in the U.S. had been convinced, even at the time of Hawaii’s annexation, that Hawaii had no natural connection to the rest of the states. 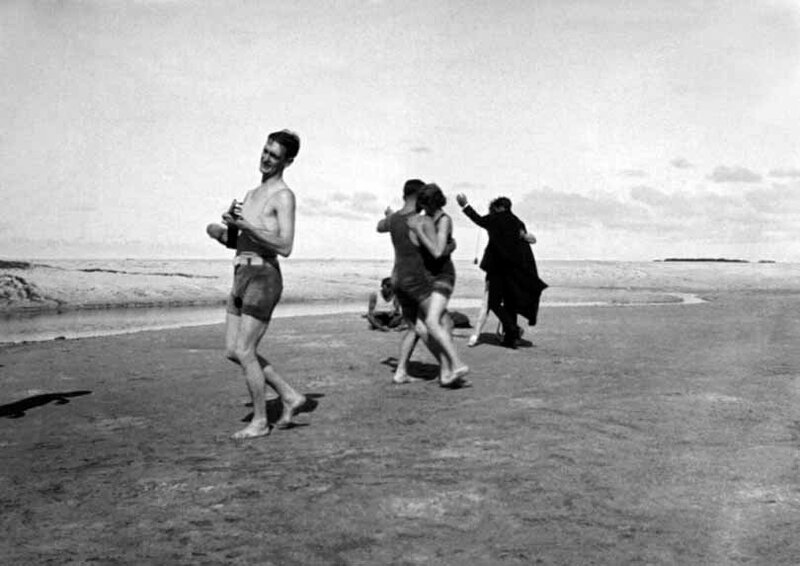 It was not contiguous territory, most obviously, but 2,000 miles from the coast. 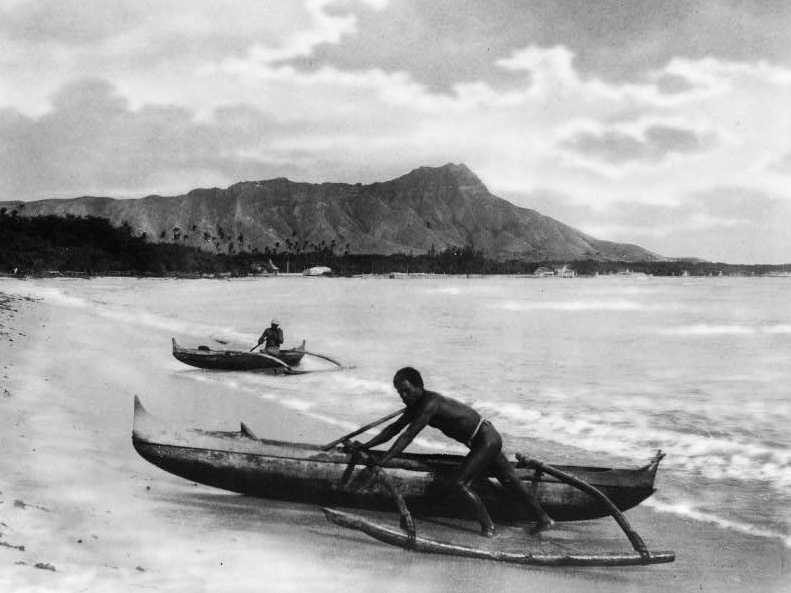 Here are some rare and fascinating photographs of Hawaii from before it became a State. January 1890 - The Royal Palace at Honolulu. 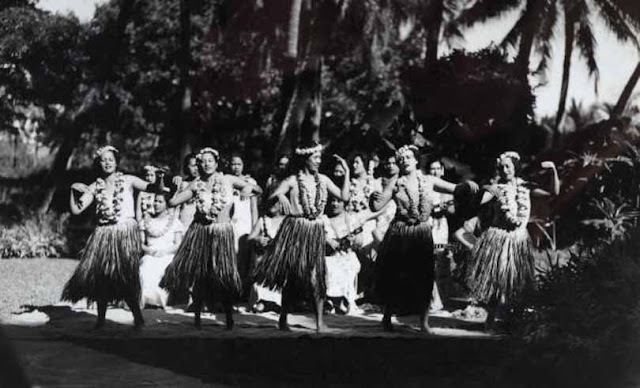 1900 - A group of male Hula dancers. Circa 1900 - A Hawaiian woman dances on a grass mat while two other women watch. 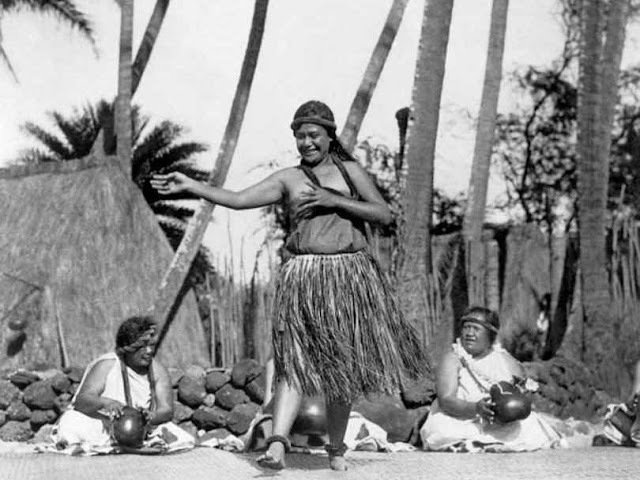 Circa 1900 - Female hula dancers. 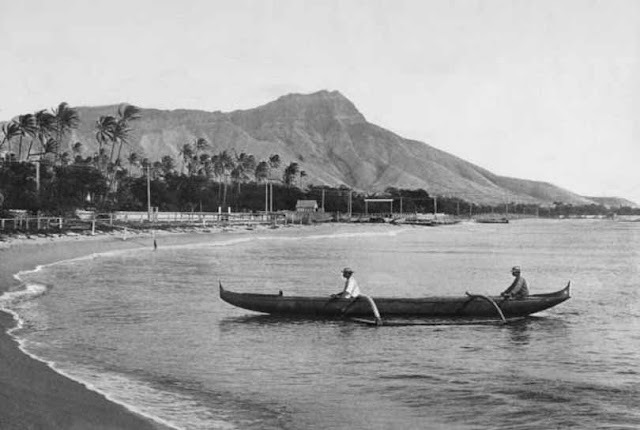 Early 1900s - Two local men in their raft rest by the beach at Waikiki Bay, showing Diamond Head in the background. 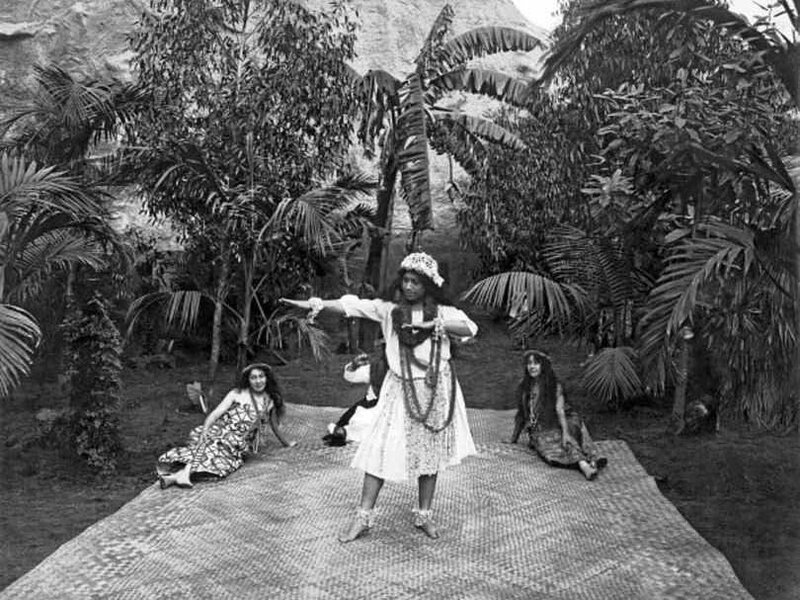 1920 - A Hawaiian Sunrise Soiree. 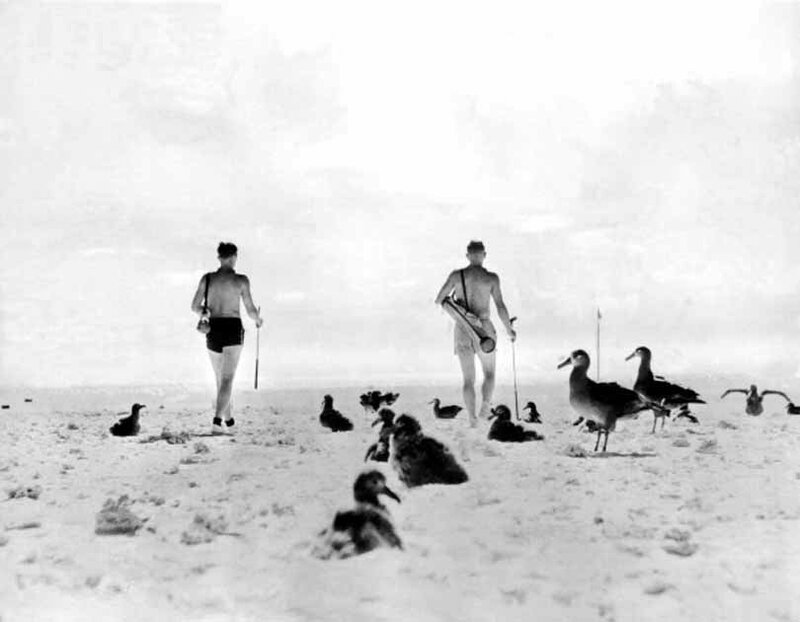 Two couples, one in tails, dance on the beach in the early morning to the sounds of a ukulele. 1922 - two native Hawaiians with outrigger canoes at the shoreline in Honolulu. 1924 - A native Hawaiian dancer performs while other women keep rhythm with gourds. 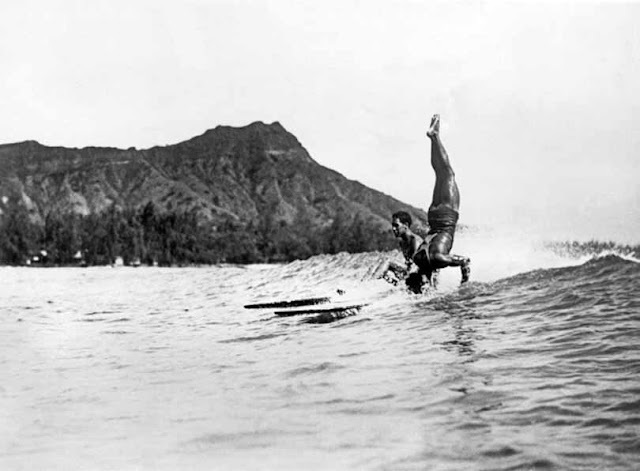 1925 - A surfer at Waikiki Beach stands on his head as he rides a wave into the shore. 1925 - Waikiki beach on Oahu, with Diamond Head in the background. 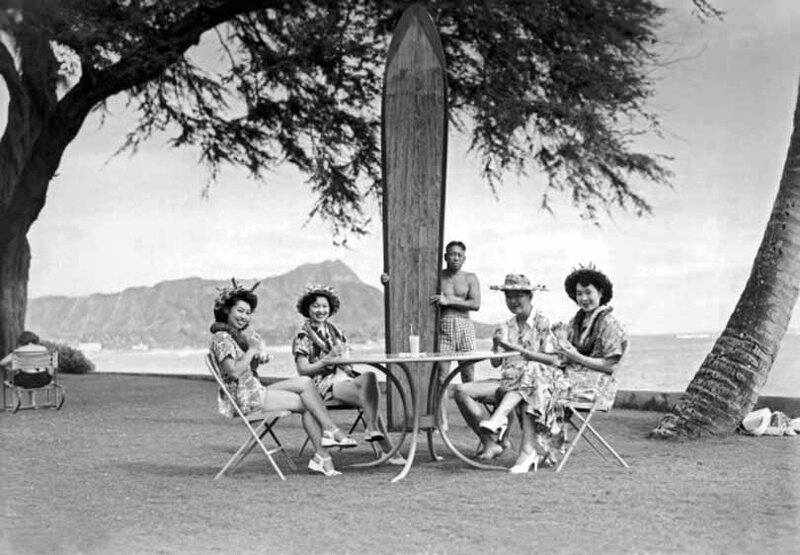 1930 - Four Japanese tourists pose at the Halekulani Hotel on Waikiki Beach with a native Hawaiian and his long surfboard. 1930 - Tourists peer into mouth of Halemaumau or 'House of Everlasting Fire,' the inner crater of Kilauea, the most active volcano in the world (at the time). January 1932 - A group of Hawaiian girls sit against a tropical background. July 1934 - the harbor at Honolulu, Hawaii looks serene. October 1936 - PanAm Airways employees in Hawaii managed to create a full size golf course on the beach at Midway Island, where they play amongst the albatrosses.